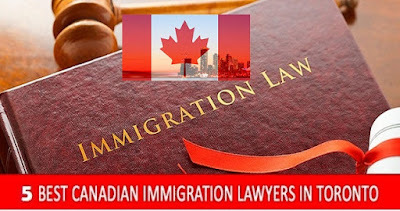 If you are in Toronto and need some legal assistance to help with your immigration case, you will want to know which the best Canadian immigration lawyers in Toronto are. Here we look at five of the top performing law firms who can take on your case and help you to achieve the result you desire. Niren & Associates specialize in Canadian immigration and with more than 30 years of combined experience they have helped thousands of people gain immigrant status. Fully licensed, the team specializes in preparing applications for permanent residence as well as work permits and study permits. The firm will act as your representatives in persuading the Canadian authorities to grant the appropriate visa, overcoming the complicated barriers to entry. With an excellent knowledge of current immigration law, the team takes the time to get to know your immigration needs and offer the most cost effective visa solution to meet those requirements. With complete case management from start to finish, they will prepare legal submission letters, a full application package of documents and will handle all application progress through the months of processing. They will also help with interview preparations if necessary. The founding member of this law firm, Guidy Mamann, is a former immigration officer who has been practicing in the field since 1987. Having more than 23 years of experience in immigration law, he is now the head of one of the country's most prestigious firms and is one of just 33 lawyers in Ontario who has achieved certification as an Immigration Law Specialist. The firm has a reputation for excellent and receives frequent referrals from both government and non-government agencies, having won a number of precedent setting cases at the Supreme Court of Canada. The company deal with a complete range of immigration service’s but specializes in the granting of work permits. As experts in the Canadian immigration system, the Matthew Jeffrey law firm deals with all permanent residency cases as well as family sponsorship and appeals. Certified specialists in immigration law, this company can offer a full range of services and have many years of experience in the field. From extending permanent residency to express entry applications, this law firm can wade through the complex legislation involved in the Canadian immigration system thanks to their considerable experience in setting up Express Entry profiles. Steven Tress has been operating as a Canadian immigration lawyer in Toronto for more than 28 years and has considerable success in representing those who need to attend immigration proceedings or file applications. 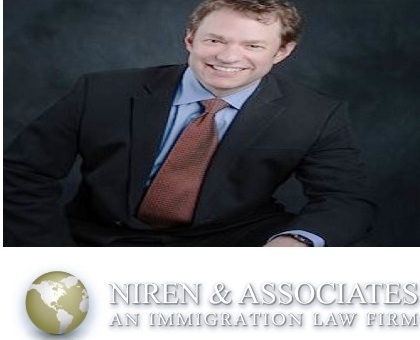 Experienced and knowledgeable, he keeps up to date with all the latest developments in immigration legislation and current court decisions so that he can effectively represent clients at either the Federal Court of Canada or the Immigration and Refugee Board of Canada. He can represent those who wish to sponsor relatives to come to the country, those seeking a work or study permit, employees needing help with a corporate transfer and those who are facing potential deportation. All submissions and applications are professionally put together, with start to finish representation and preparation for any essential interviews. 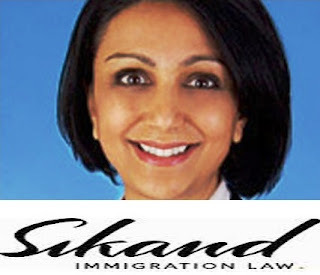 The Sikand Immigration Law firm represents both businesses and private individuals and offer a comprehensive range of immigration services. With a focus on Canadian immigration law, the firm has extensive experience in the field which enables a deep understanding of clients' needs and the ability to offer a personalized and strategic immigration service tailored to clients' objectives. The principal of the firm is Immi Sikand who has been certified by the Law Society of Upper Canada as a Specialist in Citizenship. Having worked exclusively in this legal field since 1999, she has considerable experience and is up to date on all aspects of Canadian immigration legislation. The firm represents a broad spectrum of clientele and provides efficient and knowledgeable legal services for those who are hoping to sponsor a family member to come and live in the country, those who wish to obtain a work or study permit and those who are hoping to obtain permanent residency or Canadian citizenship. They can also handle all appeals cases on the grounds of medical or criminal inadmissibility or sponsorship refusals.